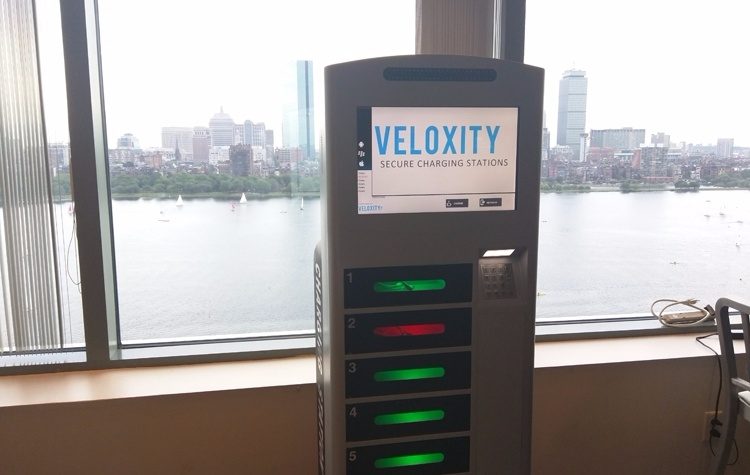 The Veloxity team and their mobile charging stations are all over USA, including the MarTech (Marketing Technology) Meetup in Boston, MA. There are many things to love about being part of the Veloxity team, including the ability to attend major events all around the country. The founding team experiences a wide variety of interesting events and meets inspiring people from all walks of life. The events include shindigs like the NEVY Awards, MassChallenge Pirate Cruise, PGA Tour, LeadsCon, or the Youth Marketing Summit, to name a few. The best part, however, is seeing end users enjoying the convenience of charging their mobile devices with https://veloxity.us . Last week, a few of the Veloxity team members mixed and mingled with entrepreneurs at the weekly Thursday Venture Cafe in Cambridge – a space for innovators and entrepreneurs to converse about their projects. Opportunities to make connections with heavy hitters in the sector are incredibly valuable networking tools, especially in this increasingly digital age. If you see the Veloxity team out and about, make sure to ask them to point you toward the nearest mobile charging station!